As a leader of the Arizona Independent Party, it is no secret that it is our preference to support and give voice to independent candidates. But there is no independent to support in the CD8 special election. This is not because there aren’t many independents, or because independents aren’t civically minded. There are more independents in CD8 than there are Democrats. However, the independent voice is kept silent by design. The Republicans and Democrats who filed had to collect significantly fewer than 1000 signatures. If an independent wanted to file, they would have had to collect over 3000 signatures, nearly 5 times as many. The establishment would tell you that an independent gets to avoid a primary, which is true. But this is not because independents are unwilling to run in primaries. It is because the politicians in the duopoly are unwilling to advocate for open primaries, as it would damage their own stranglehold on political power. Therefore, as the result of scheming electoral rules designed in high places, there will be no independent choices to replace Trent Franks this election. But independent voters still want to be a part of the political process, and we are grateful to the candidates who accepted our invitation to speak at the Arizona Independent Party meeting on January 10th. What kind of candidates do independents want in office? In short, we want a candidate who is very much unlike Trent Franks. Our issue with Trent Franks is not that he was conservative. There are conservative independents and the voters of CD8 are largely conservative. Nor was our issue with any of his specific conservative positions, including his anti-abortion positions or his pro-military spending positions. Indeed, there are independents who are also anti-abortion and pro-military spending. Our issue with Trent Franks is that he allowed his personal ideology to prevent him from getting anything done. Worse yet, ultimately he was a hypocrite, betraying the Christian values he wore so proudly on his sleeve for so long. Just prior to his resignation, of all 435 representatives, less than 10 were rated more right wing than Trent Franks. Of the bills he introduced last year, most were rated as having a less than 10% chance of passing. Indeed, during all his years in Congress, of nearly 100 bills that he introduced, only 9 of them were passed in the house, and most of those went on to subsequently fail in the Senate. 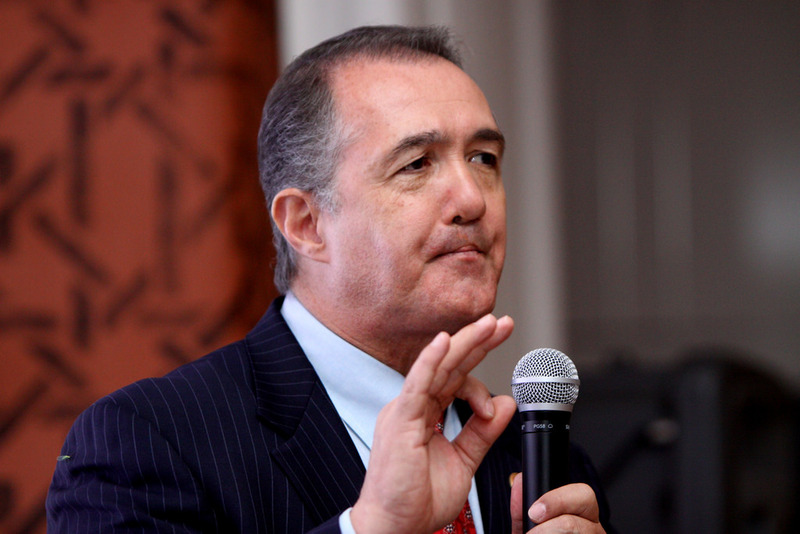 In short, Trent Franks embodied what people hate about politicians on both sides. They draw a huge salary, make people angry with their words, and ultimately do little to nothing. Independents are excited to replace Trent Franks. And if one of the partisan candidates is going to have the support of independents, myself included, it will be because they can explain to us what makes them different from Trent Franks, and for that matter, what makes them different from most of the people already in Washington. Despite the fact that every candidate in the CD 8 race has chosen a party label, I believe that one or more of them may have the ability to unite the district by reducing polarizing rhetoric and working to sponsor legislation that has broad support and a chance of getting through Congress. I encourage everyone to investigate each candidate respectfully and with an open mind. If you are moved that one of these candidates is the change you want to see in Congress, I hope you will not only vote for them, but work to help get them elected.